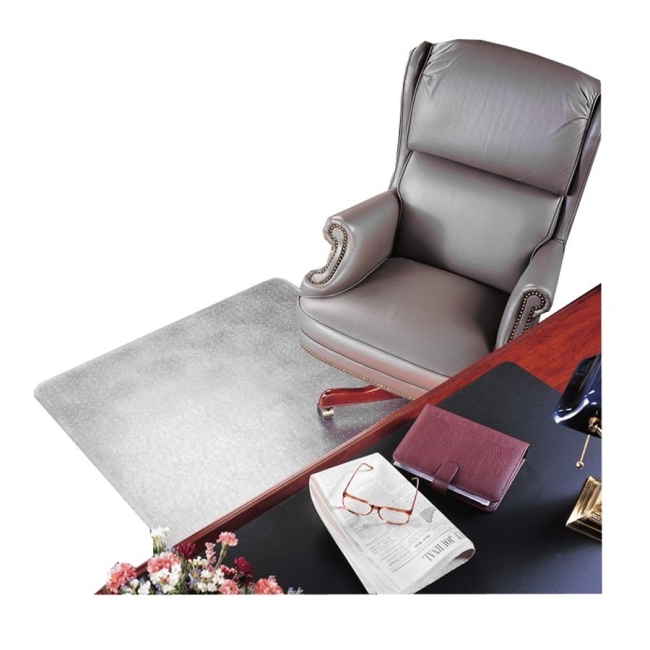 Deflect-o CM17443F Beveled Edge Chair Mat 60" x 46"
Protect your special rugs, carpet and flooring from damage caused by chair wheels. Ideal for plush, high pile or heavily padded carpets up to 1" thick. Vinyl, classic mat offers maximum transparency and durability. Blunt end studs won't pierce or damage your carpet backing. Beveled edge allows smooth on-and-off chair movement. Textured top surface is slip-resistant and scuff-resistant. Chair mat is almost 1/3" thick to help prevent sinking.